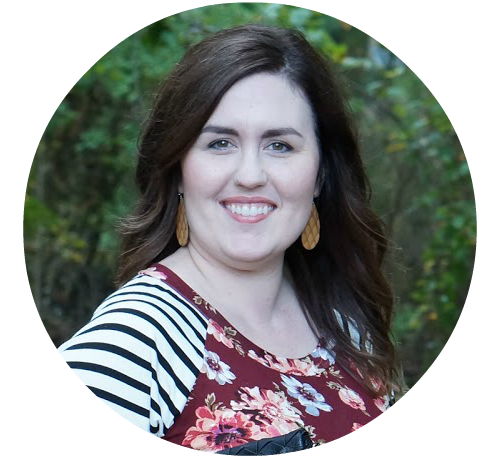 My black bottoms, whether they’re my distressed jeans from Old Navy or my favorite black leggings, have been some of my favorites pieces for casual outfits this past season. In fact, I was even wearing my favorite black jeans from Old Navy this weekend while we were being lazy at the house. They are that comfortable! Since we’re about to switch seasons, I’ve been assessing what I have in my closet. Every season, I get the urge to try a capsule wardrobe again. In the past, I’ve enjoyed doing a capsule wardrobe, but I end up missing the clothes that weren’t included in my capsule. Lately, I’ve been going through my closet and making a purge pile. My purge pile is just going to sit there until I’m ready to donate. The Konmari method, which I’ve used before, tells you to make decisions quickly and get rid of things on the day you declutter. That has worked really well for me in all areas of my home, and even in my wardrobe! But, I think this time I need a little more time to purge and declutter to get ready for the new season. 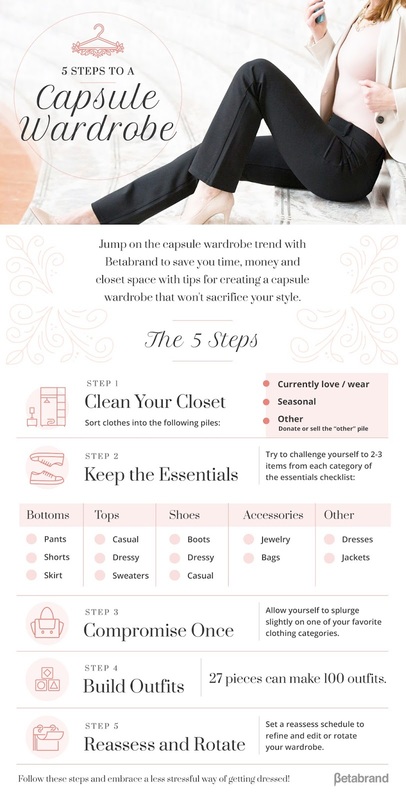 Betabrand’s capsule wardrobe infographic is really helpful when I’m visualizing my process. I wanted to share it, in case it would help someone else as well! You have probably seen the Betabrand pants online before. I know I’ve been curious about them! They also have a Work-It Collection that would be super useful in a capsule wardrobe. 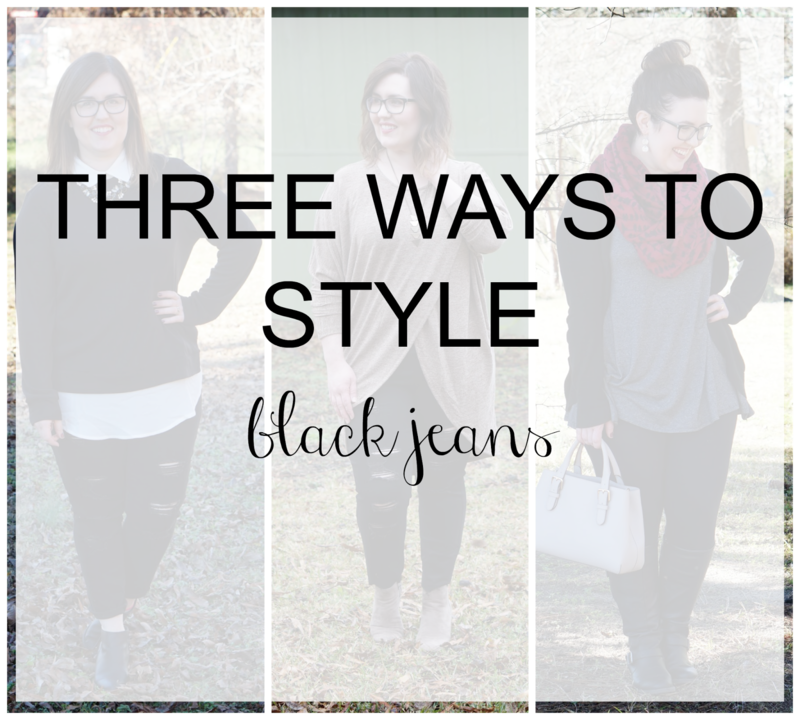 Since my black pants (whether they’re work pants, jeans, or leggings) are a staple in my wardrobe, I wanted to share a few ways that I wear them. No matter what season, my black bottoms are always in the mix! They are so versatile, but here are just a few ways I’ve styled them.